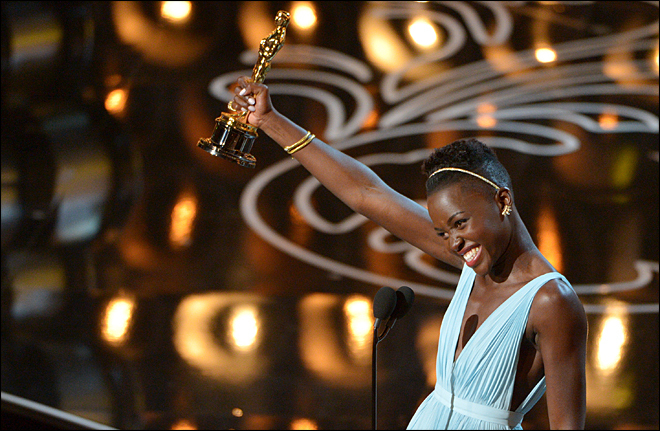 Lupita Nyong’o, the Kenyan actress who made her feature film debut in “12 Years A Slave” as the much-abused slave Patsey also won the best actress in a supporting role. This entry was posted in Black History, Movie, Uncategorized and tagged 12 Years A Slave, Best Picture, Brad Pitt, Lupita Nyong'o, Oscar, Solomon Northup, Steve McQueen. Bookmark the permalink.